In the morning, after breakfast, head east through Fox Island Thorofare southeast to the area called Merchant’s Row, just south of Deer Isle. There are many islands here with beautiful small coves in which to anchor for the evening. Overnight. 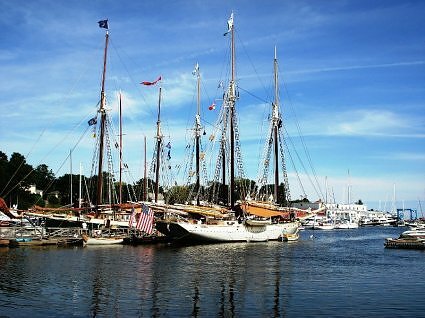 Cruise down to Vinalhaven, southernmost of the larger islands in Penobscot Bay. With its rugged shoreline, satellite islands, and scores of coves and anchorages, the eastern shore is full of gunkholes to explore. After having lunch, make your way over to Winter Harbor, one of the most rustic and unspoiled anchorages in Vinalhaven. There are about 1200 year around residents on the island, many of whom live around the village of Vinalhaven, which is a traditional Maine fishing village. The harbor is home to one of the largest number of lobster fishing boats in the world. Overnight. 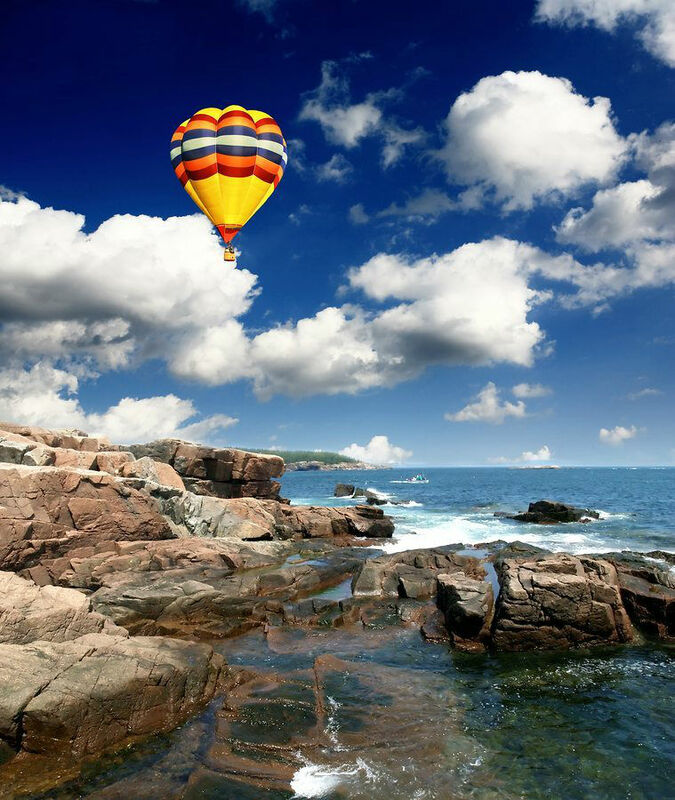 A short early morning cruise will have you on the Isle au Haut, a great place to stretch your legs with over 30 miles of hiking trails belonging to Acadia National Park. After lunch cruise to Northeast Harbor. 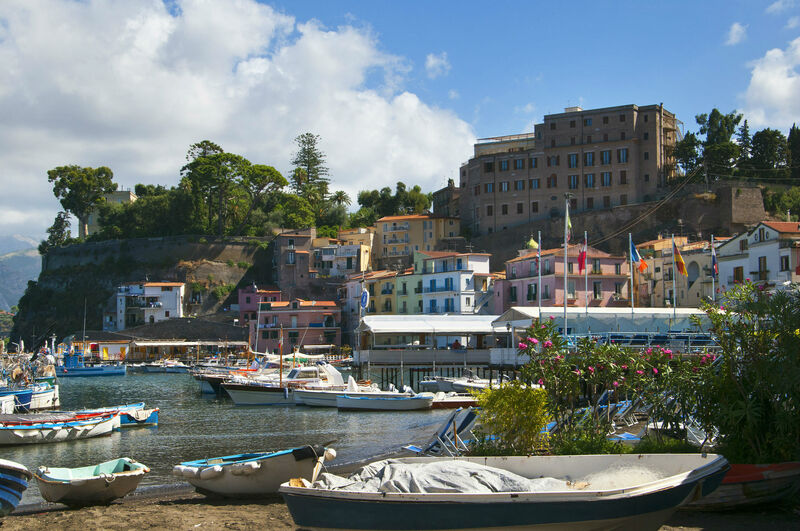 On the main street of this little harbor town, you will find attractive galleries and boutiques. Take a taxi ride up to one of the many trails offered by Acadia National Park. Overnight. Leave early for Hancock Point in Frenchman’s Bay. Sorrento Harbor in Frenchman Bay has beautiful views of Cadillac Mountain and Mount Desert Island. Enjoy a seafood lunch before cruising to Bar Harbor to overnight. Very interesting art galleries, gourmet grocery, general stores and wine shops line Cottage Street in Bar Harbor near the harbor. This is a little Maine village that is fun to explore, with remnants from the Gilded Age of “summer cottages” along with a museum. Overnight. After finishing breakfast, cruise up Eggemoggin Reach. Eggemoggin Reach is often clear of fog even when it is thick elsewhere. If you fancy classic wooden boats, swing by Center Harbor and check out the beauties that are usually floating about. After lunch continue on to Buck’s Harbor. Anchor overnight. Before breakfast enjoy a brisk walk ashore. Then cross over to Dark Harbor, Islesboro Island for lunch. It’s a short cruise across to Camden for your last night aboard.